We self-employed professionals are constantly faced with difficult choices about how to best grow our businesses. Should I pursue this line of business or that one? Would it serve me better to choose Niche A or Niche B? Shall I spend my time building a relationship with Client X or Client Y? Often, these questions hinge on what we perceive as the most desirable result. If we value potential earnings more highly, we select a course of action that will lead to more money. If we are more concerned with our personal fulfillment, we follow a path that we believe will be more satisfying. Surprisingly often, these possible choices point in opposite directions. We find ourselves having to choose between higher earnings and greater happiness. A client of mine who worked as a marketing consultant was presented with two potential projects — one with a large law firm specializing in mergers and acquisitions, and another with a small environmental services company. My client, a longtime environmentalist, was drawn to the smaller company, but it was clear the law firm could pay more and give her more business in the long run. Both projects required a detailed proposal; she didn’t have time to do both, and had to choose. Practicality dictated that she pursue the law firm project, but she kept feeling blocked. She procrastinated on writing the proposal, delayed following up, and didn’t prepare well when she met with them. Ultimately, the law firm hired someone else. She returned to the environmental services company, who luckily had not yet chosen a consultant for their project. Suddenly, writing the proposal became effortless, she was eager to follow up, and when she met with the company, her enthusiasm convinced them to hire her on the spot. So which one was the more lucrative choice? In Mark Albion’s book, Making a Life, Making a Living, he describes a study of 1500 business school graduates that took place over twenty years. Based on their responses to a survey, the students were grouped into two categories. Group A wanted to make money first, then pursue what they really wanted to do later when they had more resources. They comprised 83% of the respondents. Group B, who made up 17%, intended to pursue their true interests first, sure that money would eventually follow. Twenty years later, there were a total of 101 millionaires in the two groups. Only one came from Group A. There were 100 millionaires out of the 255 people in Group B. 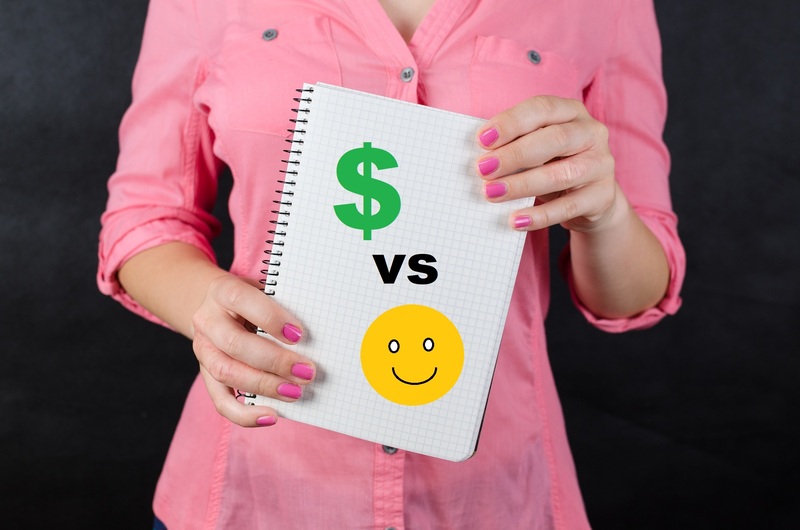 It appears that choosing happiness over money can be a valid business decision. There are some caveats, of course. You need to make sure that the course of action you are considering is a viable alternative, not an altruistic fantasy. My marketing consultant client had already determined that the environmental company had a budget to pay her. They just couldn’t pay as much as the law firm, and it was a smaller project. But her experience — and the business school study — suggest that a quite practical approach to decisions like these might be to begin this way. Instead of considering first which direction is likely to be the most lucrative, start by determining which path will probably be the most fulfilling. Then find a group of people, a type of project, or a line of work along that path that will pay you what you need to charge. Our inner saboteurs are subtle. 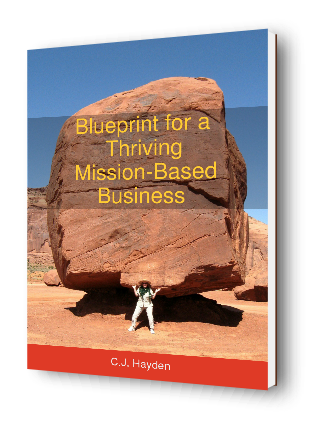 If one line of business or type of client makes you happier than another, you may find mysterious roadblocks appearing when you pursue business you really don’t want. With no boss looking over your shoulder, you must find a compelling path, or your marketing will languish. And when that happens, you won’t get the business anyway. Glad you liked it, Ayo!